The Colossi of Memnon are two massive stone statues of PharaohAmenhotep III. The incredible thing is that it stood for the past 3400 years in the Theban necropolis, west of the River Nile from the modern city of Luxor. This whole imitation of human depicts a family: the twin statues depict Amenhotep III in a seated position, his hands resting on his knees and his gaze facing eastwards towards the river and the two shorter figures are carved into the front throne alongside his legs: these are his wife Tiy and mother Mutemwiya. The side panels depict the Nile god Hapy. The statues are made from heavy blocks of quartzite sandstone which was quarried at el-Gabal el-Ahmar and transported 675 km overland to Thebes. The blocks used by later Roman engineers to reconstruct the northern colossus may have come from Edfu. The sole purpose of the Colossi was to stand guard at the entrance to Amenhotep’s memorial temple as a sacred place and a massive construct built during the pharaoh’s lifetime, where he was worshipped as a god-on-earth. 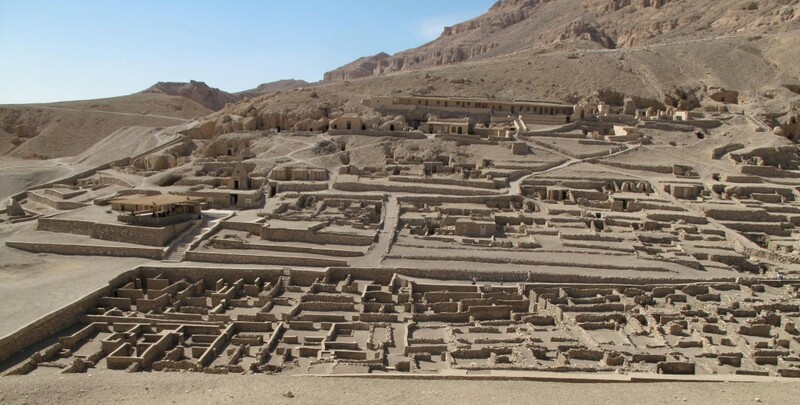 In its day, this temple complex was the largest and most luxurious in Egypt and it Covers a total area of 86 acres. The name Memnon means “Son of the Dawn”, and was probably applied to the colossi because of the reported cry at dawn of one of the statues. Eventually, the entire Theban Necropolis became generally referred to as the Memnonium making him “Ruler of the west. 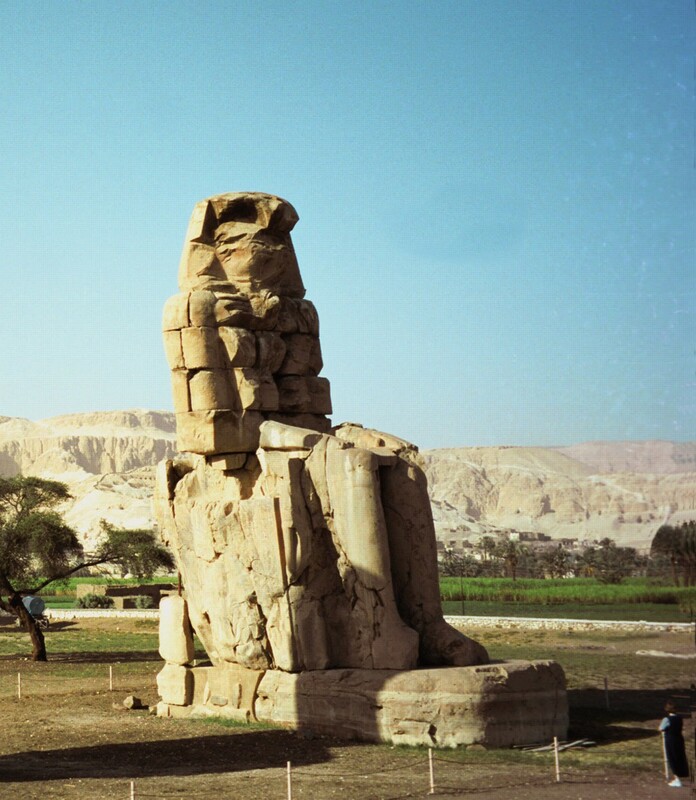 The legend of the “Vocal Memnon” remained stupefied, the reputation of the statue’s oracular powers became known outside of Egypt, and visitors, including several Roman Emperors, came to marvel at the statues. The last recorded dependable mention of the sound dates from 196 but local tradition places it circa 199, and attributes it to the Roman Emperor Septimius.